The next several weeks will be very busy as staff, students and families get ready to head back to school. 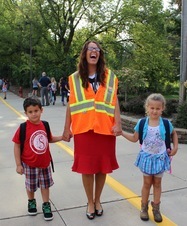 Help start the year off right by taking part in the special events happening in your school building - a great chance to meet your child's teachers, connect with other families, and get to know your school community. Students will be returning to school on a different schedule this year. The staggered start allows ninth and tenth graders a day to get familiar with the building, and take part in orientation activities with junior and senior leaders. Kindergarten students will also take part in Ready, Set, Go Conferences before they start school, which allows teachers to get to know them and identify their strengths and areas for growth. Check out our brand new website for all things high school athletics, fine arts, clubs and activities. 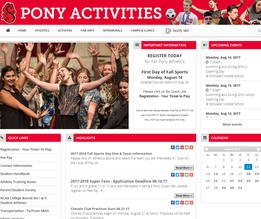 This easy-to-navigate website includes schedules for all of our high school sports team and musical groups, and details about the many clubs and activities offered to students. Our online calendars have a new look! We've updated the calendars on our website to make them more user friendly for our families and staff alike. Our new Google Calendars are easier to view and share. Check them out at stillwaterschools.org/calendars. Hundreds of students are receiving support from therapists in our schools each year to help them navigate a variety of mental health issues, from anxiety and depression to bullying and relationship conflict. Read one student's story, and learn more about how the renovated Wellness Center at Stillwater Area High School is growing to support even more students in the year ahead. Learn more. Students in the Stillwater Area Public Schools continue to perform well on the Minnesota Comprehensive Assessment (MCA). As in past years, Stillwater students outperformed the state average in all grades and subjects on the annual exams. Read more. The school board will hold two sessions to work on board governance for the 2017‐18 school year. The sessions will begin at 6:15 p.m. and conclude at approximately 8:15 p.m. on August 22 and 23, 2017. These sessions will take place at Central Services. See the official meeting notice. Connecting with families and keeping them informed about all of the things happening in our school is important. Because your child is/was enrolled in our school, we've automatically subscribed you to this newsletter. You can choose to manage your subscriptions by visiting stillwaterschools.org/subscribe.